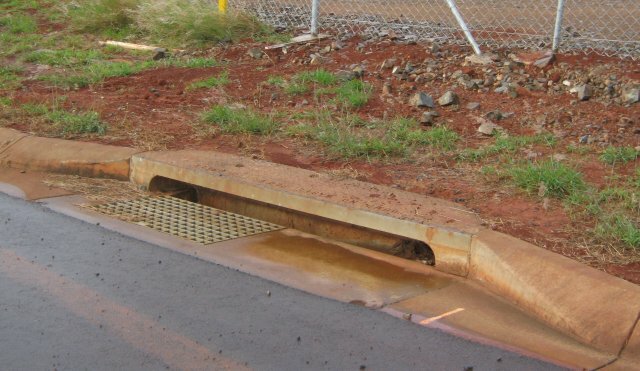 A kerb inlet is an inlet to a stormwater pit located behind or adjacent to a section of kerb & channel. 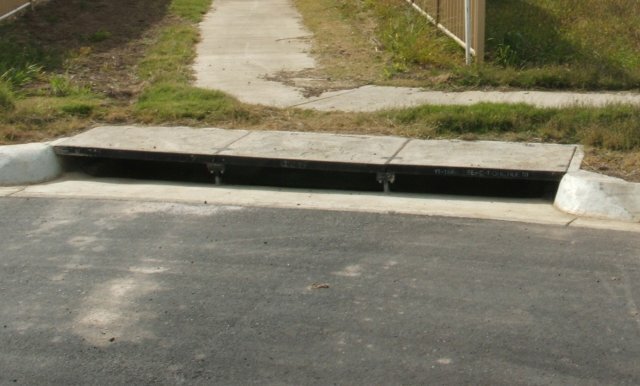 Section 7.05.1 of the Queensland Urban Drainage Manual states that there are types of kerb inlet in common use. 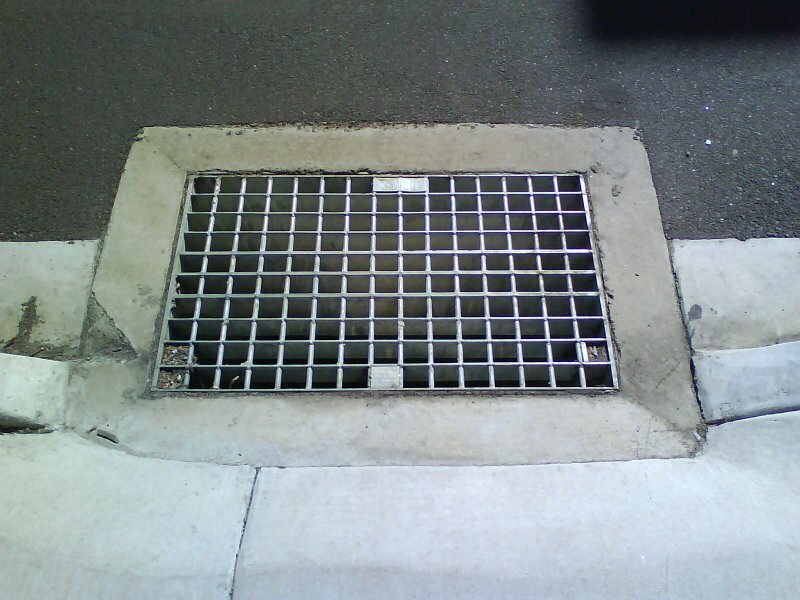 Examples of grate only inlets are field inlets and anti-ponding gullies on kerb returns. Side Inlet Pits rely on the ability of the opening under the backstone or lintel to capture flow. They are usually depressed at the invert of the channel to improve capture capacity. Combination inlets utilise the backstone arrangement of the side inlet with the added capacity of a grate in the channel. Special site specific designs are sometimes required for high inflows.